Allied Journal of Clinical Pathology Research is a peer reviewed journal covering developments in all aspects of pathology. It focusses on the advancement in the tools and techniques involved in the diagnosis of diseases through laboratory tests of body fluids. The journal aims for rapid publication of high-quality original manuscripts on various aspects of clinical pathological research. 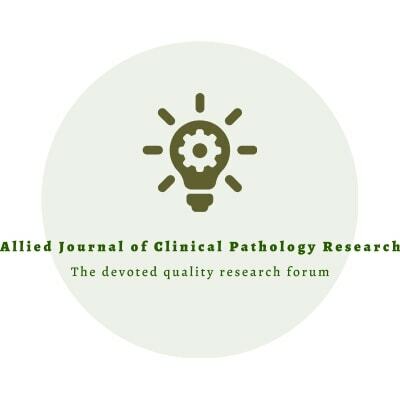 The Allied Journal of Clinical Pathology Research is directed to clinical pathologists and others involved in the development of novel pathological strategies for the diagnosis of chronic diseases. The journal features original research articles, review articles, clinical cases, perspective and commentary on pathological studies such as histopathology, virology, hematology, microbiology, cytopathology, chemical pathology, molecular pathology, forensic pathology, dermato-pathology, neuropathology and immunopathology etc. In addition, it provides a global forum for the exchange of information and discussion on innovations in pathological tools and techniques. The Allied Journal of Clinical Pathology Research accepts manuscripts as original research article, review article, short communication, case report, letter-to-the-Editor and Editorials for publication in an open access platform. Article processing will be done through the Editorial Manager System for standard peer review process and provides easy access to the authors to track the process of manuscript evaluation and publication in an automated way. All the submitted manuscripts undergo peer review by the subject matter experts under the supervision of the assigned Editorial committee member of the Allied Journal of Clinical Pathology Research. Infantile malignant osteopetrosis with interesting bone marrow biopsy findings.